Reduces employer liability. Employees (and sometimes a supervisor) must leave the job-site to drive to a clinic, exposing the employer to potential liability. Onsite testing brings the clinic to you, eliminating this exposure. Saves employee time and productivity. Clinic testing results in staff being away from their job for 30 minutes to as much as 2-3 hours, costing the employer payroll dollars and productivity. Onsite testing can often be completed in less than 10 minutes and keeps employees on the job. This service makes your employees the priority. Many clinics service a wide variety of clients and often sick or injured clients are given priority over your employees. With onsite services, we are there to service your employee quickly and efficiently. Proper protocols are followed. Clinic personnel perform a wide variety of procedures each day. Forensic testing must follow specific protocols by properly trained personnel or could result in the nullification of the test results. Our onsite personnel are trained and certified as collection specialist with extensive experience and knowledge in this type of testing and collections. Oschmann Employee Screening Services understands that time is money when it comes to sending individuals in to a clinic for a drug test. We have come up with a cost effective solution that brings our collection and testing services to your business or job site, keeping your employees working and on the job. 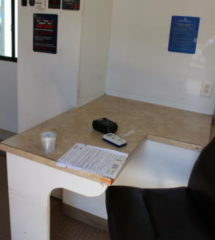 Our state-of-the-art, self-contained fleet of mobile on-site drug and alcohol testing trailers and vans service is cost effective, fast and convenient and allows for easy job-site set-up. The self-contained mobile trucks are the only mobile trucks service based in the Phoenix and Tucson Metro areas of Arizona. Our professional staff is trained and certified for Department of Transportation and Drug Free Workplace drug screen and breath alcohol test collections. 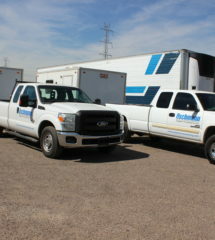 Our on-site mobile service is available state-wide in Arizona. 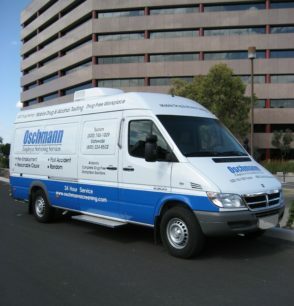 Oschmann Employee Screening Service also offers 24-hour, on-call availability in the Metro Tucson, Phoenix, Flagstaff, and Yuma areas. Through our partner companies, we can also provide mobile drug and alcohol collections in other metro areas throughout the country. No matter what your reason for testing – post accident/injury, random, pre-employment, reasonable cause/suspicion – our mobile trucks can assist you with your drug and alcohol testing program management. Our fully trained and certified personnel can implement your current program (utilizing your existing lab or ours) or assist you in developing a complete Drug Free Workplace or DOT Drug & Alcohol Testing program to meet your specific needs.